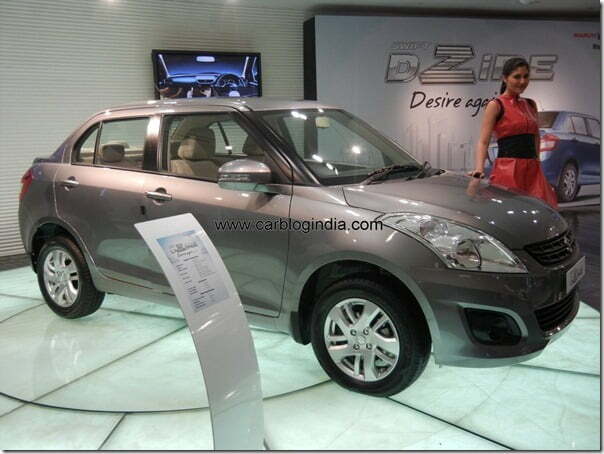 New Maruti Suzuki Swift Dzire Diesel Price Increased Again! Have you ever noticed the relation between the popularity of a car and price increase of a car? Well the two are quite related as per our observation in the past especially in the Indian automobile market. New Maruti Swift Dzire Diesel Price has increased 2nd time since its launch in past 4 months. The first time the prices were increase, it was an across the board price hike across almost all cars by all brands after the Indian Union Budget 2012 was announced and excise duty on cars went high. At that time, the price of both New Swift Dzire Diesel and Petrol were hiked around 2% making it dearer by around Rs. 10000 compared to its introductory launch prices announced on 1 Feb 2012 by Maruti Suzuki India. Since launch, Swift Dzire is selling quite well with about 15,000 units selling per month which is better than many popular small cars in India. In the wake of a strong response and to encourage the sales of its petrol models, Maruti Suzuki India has this time announced a price hike of up to Rs. 12,000 on the diesel variants of the Swift Dzire 2012. The price hike is approximately 2% of the price and is expected to increase profit margins of Maruti Suzuki and will also encourage more sales of Petrol models as the prices of Petrol Dzire have not been hiked after the first hike after Budget 2012. Below is a chart which shows the price rise in the Swift Dzire 2012 post its launch in India in February 2012. The prices of the diesel model have increased as much as Rs. 27,000 ex-showroom after the second price hike was announced. This increase in price ranges between 3% to 4% for diesel models and 1% to 2% petrol variants of the Maruti Swift Dzire. The sales of petrol cars is has gone quite low compared to the diesel cars in India because of high difference in the price of diesel and petrol which is evident from the sales figures released by car manufacturers across India. This is causing capacity concerns with many manufacturers as the installed diesel engine capacity sometimes becomes a bottleneck to meet the high demand for diesel cars. Recent announcements by Maruti Suzuki and Hyundai regarding setting up their diesel engine plants in India is an effect of this dieselization of the India car market. Talking of Swift Dzire diesel, it is one of the most value for money and high quality offering under reliable Maruti brand name along with competitive pricing because of its small car excise structure is causing a large demand for the Dzire Diesel. Aesthetically also, the new Dzire is much better compared to the old one which is sold only for fleet operators now under the new name Dzire Tour. We will bring you the latest updates as and when they happen, do stay tuned for more.